Industrial Gearboxes have been an integral part of the machinery for over a one-hundred and fifty years, that is why it is so important to take care of them or have a working backup. PPG Works understands that every minute that you aren’t able to stay on your schedule is money lost. Our experienced team is ready to get your operations up and running again in as little time as possible. 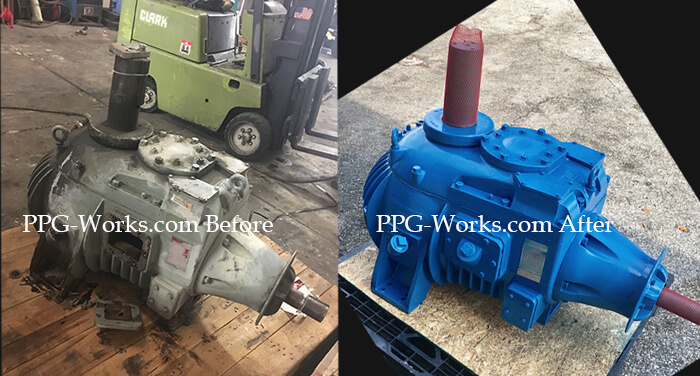 Here we have a Marley Gearbox Repair that we did for a customer that emphasize both speed and quality at a price that came in under company budget. If you have a Marley Gearbox repair, a cooling tower gearbox or any Industrial gearbox that needs repair don’t hesitate, call us or fill out our online contact form for a free consultation. We will go out to your business to inspect the gearbox, or you can ship to our shop for an assessment. 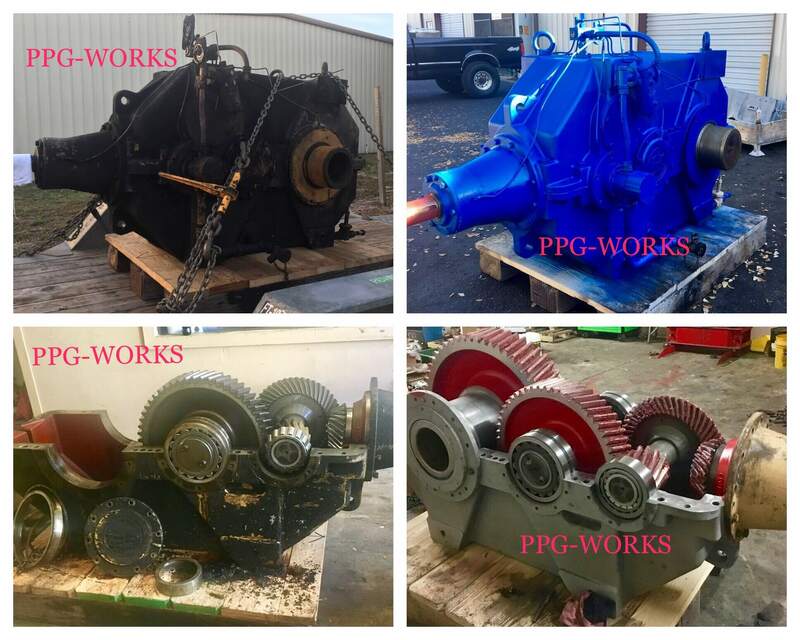 We repair or machine gearboxes from all major industries: steel mills, mining, synthetics, power plants, oil and natural gas production, cement factories and more. 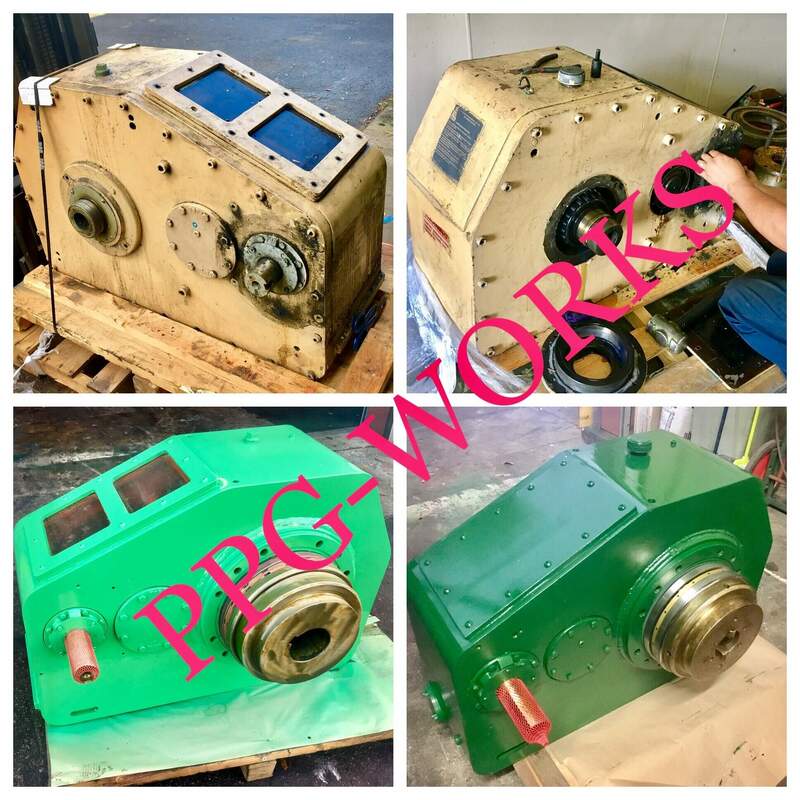 Contact PPG Works today!